We use Australia Post for our shipping. Our Shipping fees include all packaging, postage and handling costs. Local Pick-Up is available by prior appointment only (we are located in Mooroolbark, Victoria) Economy Post is not insured and cannot be tracked or claimed on if lost or damaged. No claims are possible for this postage choice and are at the risk of the purchaser. 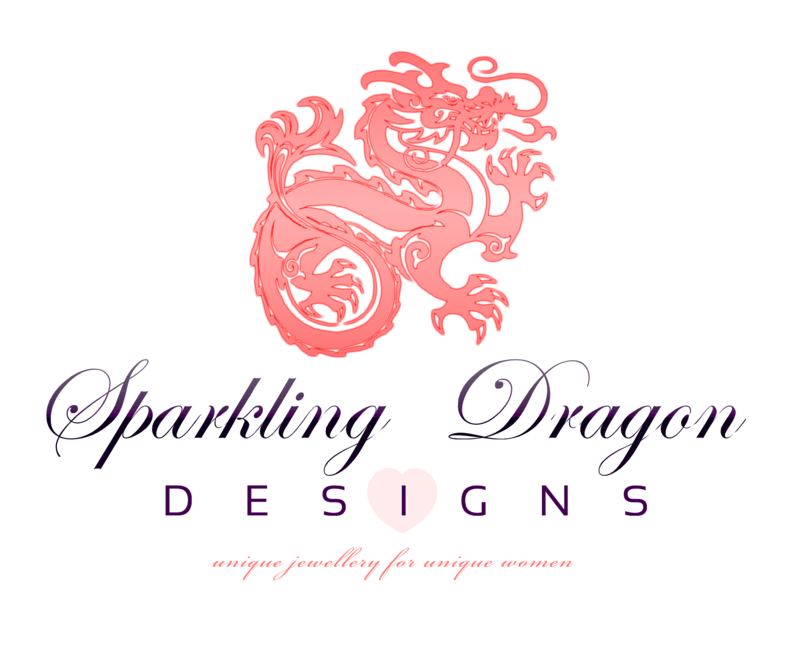 Express Post has a tracking number, however insurance is limited to the cost of the postage only and will only be refunded when Australia Post refunds the postage charge to Sparkling Dragon Designs. Registered Post is trackable and insured to the value of the item including postage – claims for lost parcels are we will lodge a complaint with Australia Post on your behalf. We suggest you use Registered Post if you are concerned about loss or damage of parcels. Registered post includes insurance to the value of $100.00. For orders over $100.00 we will insure the extra value at our expense. Registered Post requires someone to sign for the item on arrival, or if this is not possible, collect the item from your nearest Post Office. Australia Registered Post provides the following security for your Parcel. (a) Proof of postage (b) Signed dated receipt (c) Delivery signature (d) Insurance cover to value of $100. Once we have received your order we will send you an invoice with your total purchase amount and including postage. All packages are sent securely in padded postage bags to protect goods during postage. For added security orders can be delivered via Registered Post. (If you do not request to have it sent by Registered Post and the item is lost you will not be covered.) Regular postage charges do not include insurance, cover for damage or loss of goods in transit. Goods can be insured on request. We do not take responsibility for goods once they have been posted through Australia Post unless they are either Express or Registered Post. We accept no responsibility for parcels that are lost or damaged within the Australia Post Postal system. However, please contact us if your shipment is lost or arrives in a damaged condition. If your goods were sent by Express Post we will provide you with the tracking number, but it is up to you to pursue the matter with Australia Post. If your shipment was sent by Registered Mail and it does not arrive, we will lodge a complaint with Australia Post on your behalf. The success or otherwise of your claim then being at the sole discretion of Australia Post. If you start to unpack your shipment and find that it has been damaged, do not unpack it any further, as Australia Post will request to view it before any claim can be made. Postal insurance is only valid if all the packaging is kept for inspection – without this evidence there is no proof that your parcel was damaged in transit. For Express Post, ‘Next Business Day Delivery’ to be operative, your shipping destination needs to be within the Australia Post ‘Next Business Day Delivery Network’. For details, check the Australia post website www.auspost.com.au. However, please note that Express Post parcels cannot be insured. We can only provide the Registered Post and Insurance if the method of shipment chosen is normal Parcel Post. WE WOULD STRONGLY SUGGEST THAT FOR ORDERS OVER THE VALUE OF A$100, DO NOT SELECT TO HAVE THEM SENT BY EXPRESS POST. Should a claim arise due to the unlikely event of the registered and insured parcel being lost or damaged, the success or otherwise of your claim is still at the sole discretion of Australia Post. We use Australia Post Air Mail for International Purchases (3 to 10 business days, depending on destination). Please note we currently only ship to a selected range of Countries, please email us to confirm we are able to post to you. For a pricing guide check the Australia post website www.auspost.com.au. Postage charges will be advised on order confirmation. All goods are thoroughly examined before packaging to ensure they are sent in A1 condition. Whilst we accept no responsibility for parcels lost or damaged within the postal system please notify us if your parcel doesn’t arrive or arrives damaged and we will look into it for you. If your goods arrive broken, Australia Post will request to view them before any claims can be made. We highly recommend you use Registered Post if you are concerned about lost or damaged parcels. Registered post includes insurance to the value of $100.00. Please note, you will be responsible for any taxation charges and duties that apply in your country. For further information please contact your customs agency. We cannot be responsible for any postage or customs delay in the delivery of your goods. We strive to ensure our products are delivered on time and in good condition.